Kumara tandoori salad made of roasted sweet potatoes, seasoned with curry and spices, then tossed with bell peppers, baby spinach and a flavorful vinaigrette. 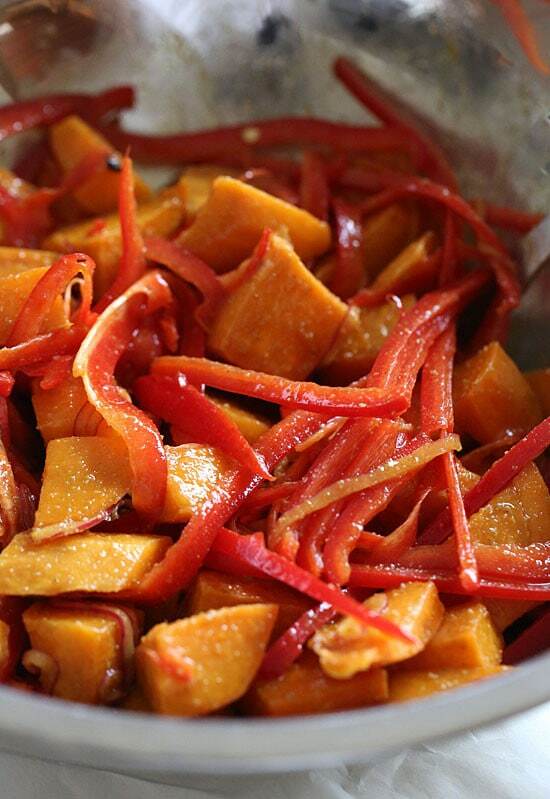 A delicious sweet potato recipe! 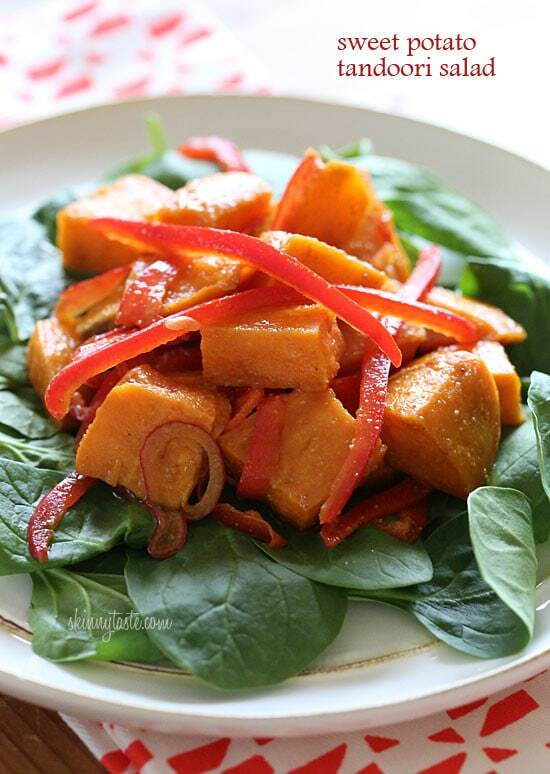 Roasted sweet potatoes, seasoned with curry and spices, then tossed with bell peppers, baby spinach and a flavorful vinaigrette. 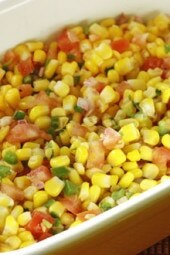 I love the complex combination of the sweet, sour and spicy flavors in this salad. Sweet potatoes and curry work so well together, and the acidity from the vinaigrette just balances all the flavors out. I was asked to lighten this recipe from a missionary working in Ecuador. Her mission there is to help teach women how to eat healthier and lose weight, and she’s been translating my recipes for them and showing them how to change the way they cook. I was so touched by this because I love giving back, so I was happy to play around with this recipe. I did some research and found in New Zealand, sweet potato are known as “Kumara”, so I’m guessing the origins of this recipe came from there. I couldn’t have been happier with the results, the flavors were wonderful, and I will absolutely be making this again and again. This salad meets so many diet restrictions, perfect if you want to enjoy a Meatless Monday dish, but also gluten-free, to vegan, paleo, clean-eating, and more! Kumara tandoori salad made of roasted sweet potatoes, seasoned with curry and spices, then tossed with bell peppers, baby spinach and a flavorful vinaigrette. 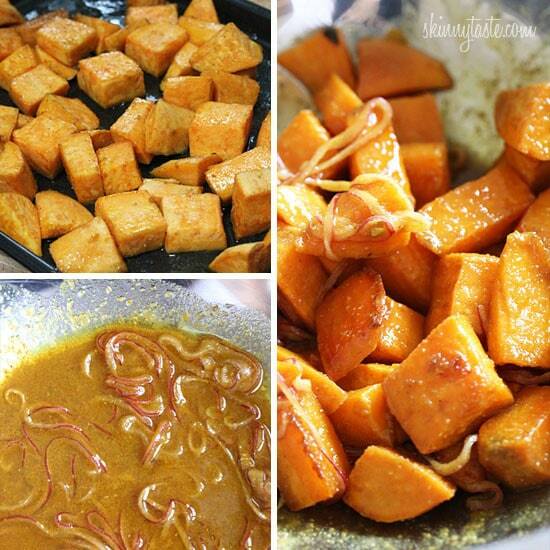 Mix the sweet potato with 2 tbsp of oil, vinegar, brown sugar, salt, cumin and curry powder. Make sure the sweet potato is well coated, then them onto a large non-stick baking tray. Bake 15-17 minutes, toss then bake for additional 15-17 minutes, or until cooked through. While the sweet potato is cooking, mix the salad dressing together in a large bowl and add the onions. Remove the roasted sweet potatoes from the oven and while still hot, toss them into the large bowl with the salad dressing and let them cool before tossing with the bell pepper and spinach. Divide equally between 4 plates. I made this for supper las night, with a side pasta black bean salad. It was a hit! We were all surprised at the contrasting flaours -sweetness of the potato and the tartness of the dressing. Amazing, and so easy! 4 T of oil is too much for me! I rub the baking pan with a light layer of oil. I learned this trick to roast veggies w/o a lot of oil: fill a bowl with water and float about 1/4 T of oil on it. Add your veggies and as you take them out they are covered with a light coating of oil. I do not have trouble roasting them. Also, I only use about 1/4 T of oil in the dressing. By letting them cool, does that mean it should be cold or room temp or still warm? Is the 14 grams of fat correct? That seems like a lot. The kumara in New Zealand is white flesh with purple skin. It is quite different to this orange flesh sweet potato. Both would be delish for this recipe. The white flesh kumara, in my opinion, is much nicer. Made this as a side for my Easter dinner. It was scrumptious. I used coconut oil and doubled the recipe as well. It is beautiful as well as delicious! Oh my! I made this for a potluck and it was just superb! I used coconut oil, doubled the recipe, but didn't double the cumin and curry in the salad dressing. (I was a little afraid of the strong flavors). It was really really fantastic. I took it to a potluck and was the star of the show! Thanks! Yum!! This is def going on the Easter menu! holey moley sister, those look good! This was very good. I am fresh out of curry but still was a great dish – the cumin was savory. I love sweet potatoes roasted in the oven. Oh my – this is very tasty!!!! Great recipe for "cleaning out" the fridge. Going to add chickpeas to the sweet potato mix while roasting for a protein source. I did that too!! I doubled the marinating mix, used half on the SPs and the rest on the garbanzos, which I put in oven on top of SPs about 2/3 of the way throughout the cook time. Added a little feta at the end and it was delicious! Could you provide a meat or chicken dish to serve this with that would work well with the curry flavor? I am unsure what to serve this with! thank you so much! Roasted Garam Masala chicken or shrimp would be amazing with the curry! This looks so good! I love sweet potatoes and curry! Yum! This dish looks delicious! I love sweet potatoes! 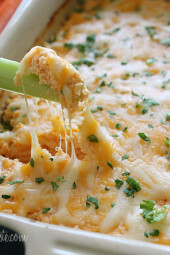 I just tried this recipe this evening for dinner and I was blown away! The flavor combinations were delicious. 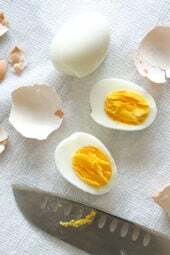 I have enjoyed every recipe I have made from your blog, and as a new WW P+ member, I can't tell you how great it has been! My mother is a full-blooded Maori, the indigenous people of New Zealand. In times past, the kumara was the main starch in our traditional diet. Of course times have changed where we now have access to other starches such as rice and potatoes. However, kumara has remained a favorite starch in our diet. I am therefore thrilled to try your recipe featuring sweet potatoes. Kumara and sweet potatoes taste very similar whereas their textures differ slightly from each other.I am looking forward to trying this recipe and sharing it with my family!! Thank you for all of the amazing recipes you create! This salad was better than I could have ever anticipated. I substituted the brown sugar for coconut palm sugar to make it paleo and also added some ground chili pepper for a smidge of a kick. Delish! Suppose this would work with butternut squash instead of sweet potatoes? What other vegetables would be good with this salad? I cant wait to try it! I love that your blog is making so much difference in people's life, around the world. Kudos!! This sounds delicious Gina! Like you, I love the sweet potato-vinegar combo. What a cool way to give back to those that are less fortunate. I'm sure the women in Ecuador will love this dish! What an interesting recipe! The dressing sounds amazing, cumin and curry powder are two of my favorite spices to use but I have never added them to a vinaigrette before! You'll love it, it works so well together. Oh yum! What kind of meat would you pair with this? I have a husband who eats meat with a side of meat. Roasted chicken would be great with this. Definitely ~ I love love love curry and sweet potato. Cannot WAIT to try this. Thanks. Looks delicious, but brown sugar isn't paleo. Do you think I could omit it/sub it for honey? Yes! Thanks for pointing that out, honey would be great. That salad looks yummy gina. Cant wait to try it soon. This sounds incredible! Love all the different flavor combinations! Looks yummy! Have all ingredients so no excuses just do it 🙂 Thank You! This looks good! I never thought sweet potato would go so well with curry until a little while ago when I made some Thai yellow curry with sweet potato (I was doing the Whole30 program). In my mind sweet potato was always a dessert, but now I love it in savory dishes!! This looks wonderful delicious and healthy! Double thumbs up for it!